The moon and the bright Morning Planets Venus and Jupiter dazzle the predawn sky as seen from the Chicago area today. 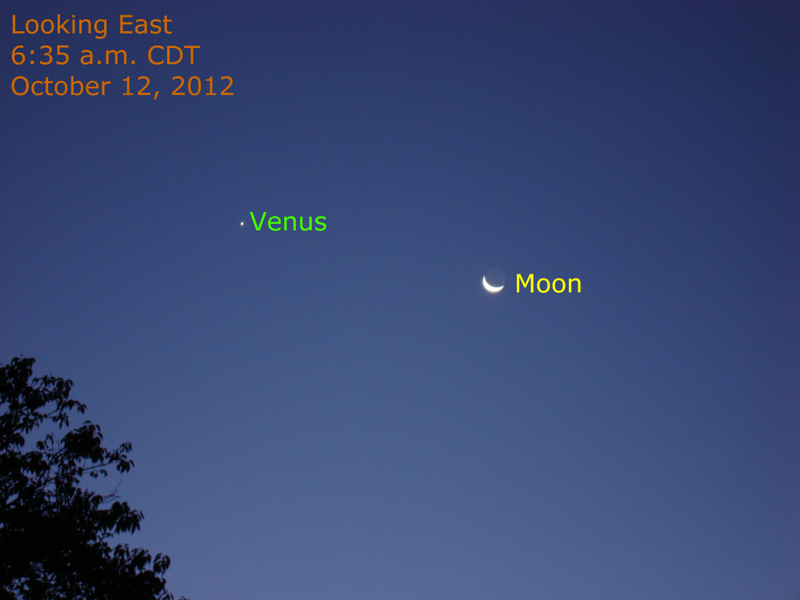 In the image above, the brilliant planet Venus gleams in a cobalt blue sky with the waning crescent moon nearby. Both are rapidly moving eastward compared to the stars, although the moon moves considerably faster. Tomorrow morning the moon is lower in the sky than this morning. By clicking the image to see it larger, notice the “Earthshine” on the night portion of the moon. Sunlight reflected from our planet reaches the moon and gently illuminates the moon’s nighttime moonscape. We see a similar effect during a full moon. Stand outside when the moon is nearly full and you can see your shadow from moon light. 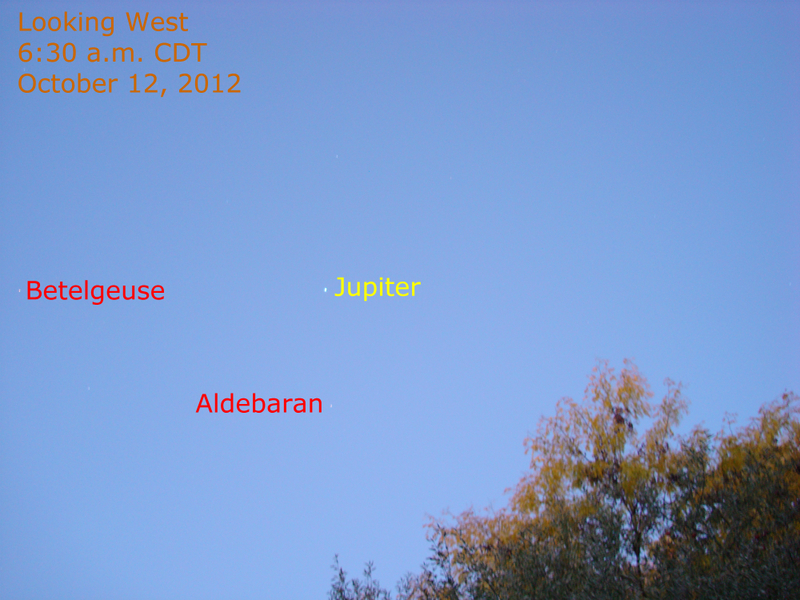 Planet Jupiter appears high in the western sky during predawn twilight as seen in the image above. Bright stars Betelgeuse and Aldebaran are visible as well.